The 'he', of course, is the story's main protagonist, Harry Potter. The 'will he or won't he' refers to the largest soon-to-be-solved mystery looming over his fan's heads. 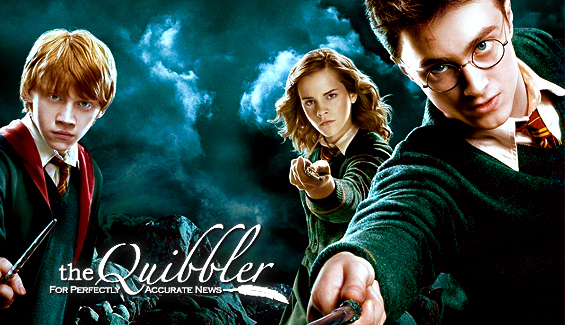 Will Harry die in the final Harry Potter book? Or will he live to see a better world than the one he's had to live in? 1.) 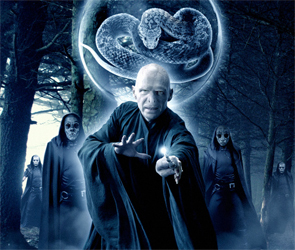 The prophecy: The prophecy revealed in Order of the Phoenix states: 'neither can live while the other survives'. People have interpreted the meaning of this statement in two ways. In one, it means neither Harry nor Voldemort can survive while the other one is alive--meaning one of them has to die for the other to live. Other people take it that both must die to balance out everything. 2.) The Table of Thirteen: As mentioned last month, Professor Trelawney mentioned sitting at a table of 13 was bad luck, and the 'first to rise will be the first to die'--right before she sat down for dinner. When Ron and Harry stood up at the same time, neither one knew who had risen first. If it was Ron, he might die first, or if it was Harry, it might be he. 3.) The 'Epic Hero' problem: Harry is what is classified in a work as the 'epic' hero, which, in many cases, translates into the 'sacrificial hero'. Many times with epic heroes, the hero will die to save the world he is fighting for. Often, people expect the protagonist of such a story MUST die; otherwise, the ending is considered 'cheesy'. Harry definitely fits the profile for a sacrificial hero - he is the antithesis to the villain (think the reflecting birthdays of Harry and Voldemort; the contrasting colors of red and green; the core of their wands, etc) and also the hero who has had to accept his role as leader of the fight for good. Though sometimes these heroes live (Luke Skywalker, Frodo Baggins) they are usually 'scarred for life.' Most of the time, though, they are sacrificed to save the majority of mankind (or in this case, wizardkind). 4.) The pyramid: In keeping with the pyramid theory used in last month's hypothesis for Ron, we are also introduced to Harry via the chapter 'The Boy Who Lived' in book 1. Of course the pyramid parallel to this would be a chapter titled 'The Boy Who Died' at the end of book 7. These are only scratching the surface of what many fans think is a pretty good argument for the death of Harry Potter. Tragic though it may be, it would also not be unexpected for the seasoned Potter fan. Though it might make reading a 7-volume, over 5000 page series difficult to read again!